The Salesforce Tower will become the tallest tower in San Francisco and will mark the epicenter of the new Transbay neighborhood. 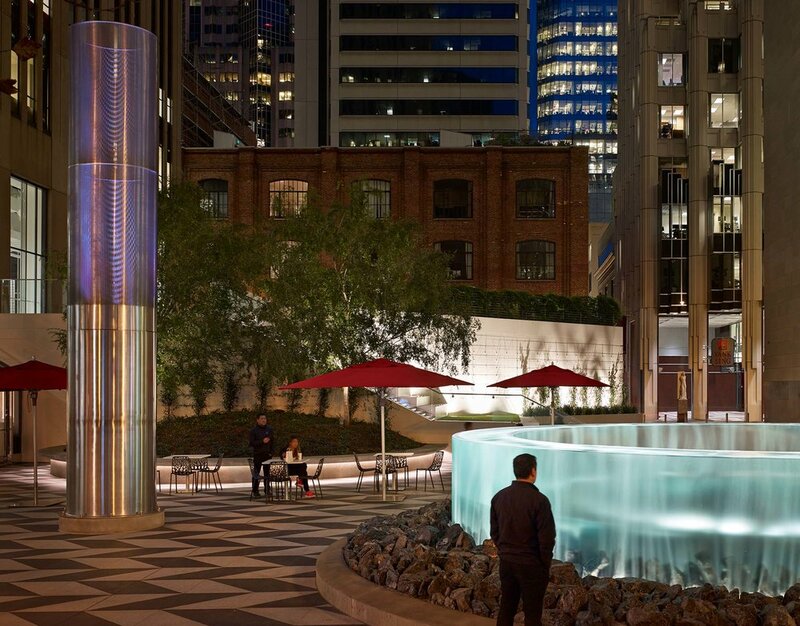 At its base will be Mission Square, a public plaza and social meeting place for the tower's workers and a conduit to the neighboring Transbay Transit Center. The plaza is emblematic of the character of San Francisco and northern California. 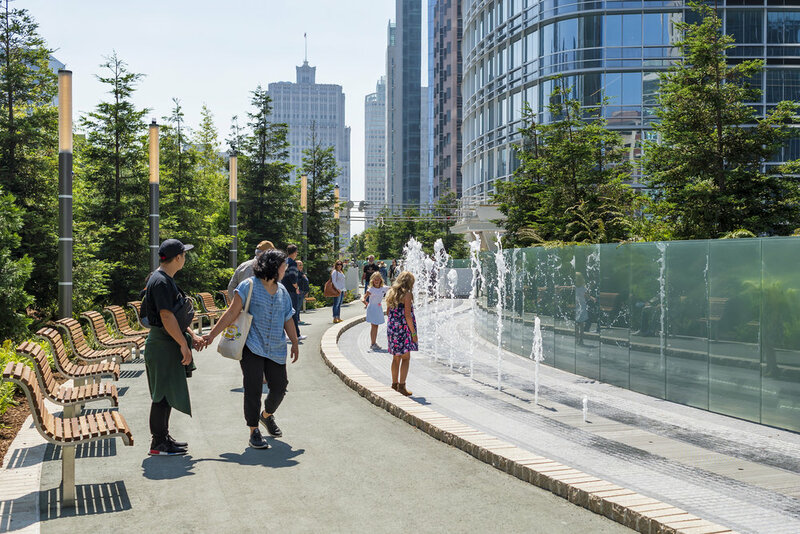 A grid of native Redwood trees, planted in line with the Tower's structural columns, provide a vertical connection to the tower and the 5-acre rooftop park atop the Transbay Transit Center. Outdoor cafe tables and fixed wood-slat seating will provide visitors flexible seating places. At the plaza's corner will be a 40-foot tall sculpture by Tim Hawkinson. Work performed at PWP Landscape Architecture. In collaboration with Pelli Clarke Pelli Architects, Kendall / Heaton Associates Architects, Magnusson Klemencic Structural Engineers, ARUP, BKF Civil Engineers, and HLB Lighting.